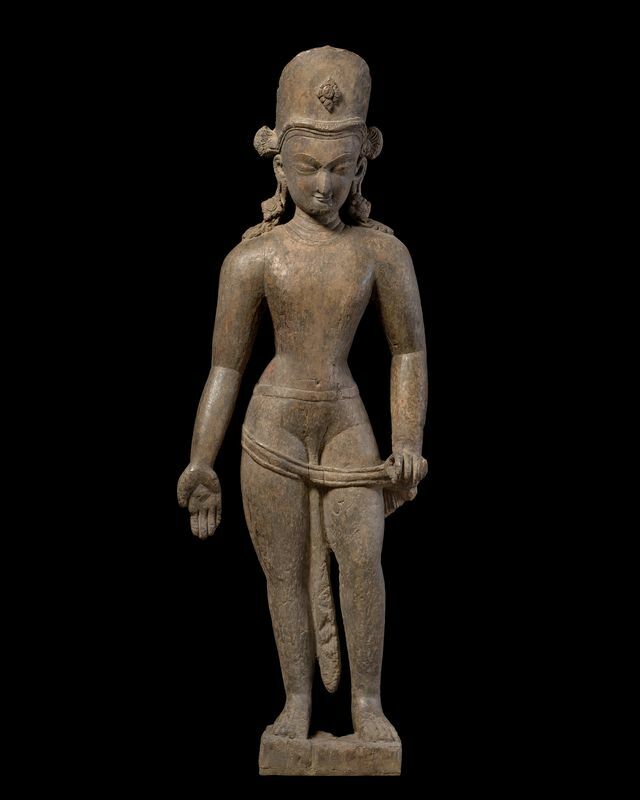 Dancing Shiva, Eastern India, Bihar or Bengal, 5th/6th century. Terracotta. Height: 25 cm. NEW YORK, NY.- A wonderful selection of rare and beautiful Asian sculptures will be brought to New York by John Eskenazi for his annual New York exhibition Recent Acquisitions at Adam Williams Fine Art Ltd, from Wednesday 16 to Wednesday 30 March 2011, as part of Asian Art Dealers New York (AADNY) and coinciding with Asia Week. London-based John Eskenazi is one of the world’s most respected dealers in Indian, Gandharan, Himalayan and South-east Asian works of art. 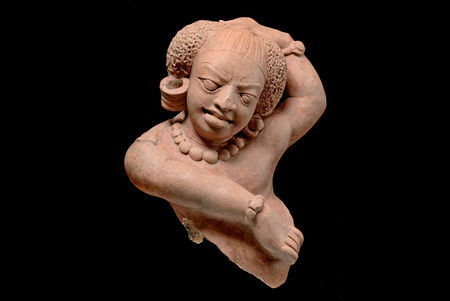 Of particular note is a charming terracotta fragment of Dancing Shiva from 5th/6th century Eastern India, Bihar or Bengal, the date corroborated by thermoluminescence analysis. Both joyful and thoughtful, the image is one of the most easily recognised forms in Indian art and in this early example Shiva is two-armed and dances for the delight of his fellow gods. Different ear ornaments identify the god, symbolising the duality of his nature; Shiva contains male and female elements but also embodies the emotional extremes of serenity and anger. The position of Shiva’s arms evokes a sense of energy. Sculpted in high relief, the figure was originally part of a rectangular panel that occupied a ghanadvara (solid aperture) on a temple wall. The Gupta period (4th/6th century AD) has come to be regarded as a cultural Golden Age during which the art of terracotta, once associated with folk imagery, reached its zenith. 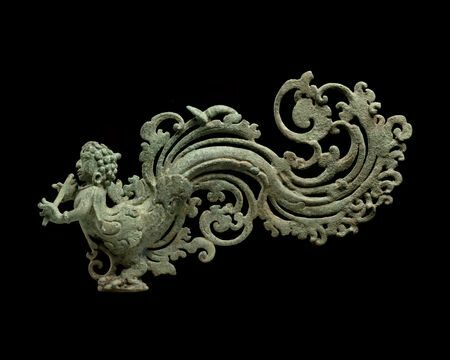 An elegant bronze figure of the half-man/half-bird kinnara once formed the principal element of a hanging oil lamp from Java, circa 9th/early 10th century. It would have stood on a platform above an oil-filled reservoir and, as the lamp moved, the light shining through the curving scrolls of his tail would have created flickering patterns on the surrounding walls. In India and South-east Asia the kinnara (male) and kinnari (female) are regarded as cheerful celestial musicians. According to Hindu beliefs, they symbolise the concept of love as their half-human, half-bird form represents the harmony that two different individuals can find together. The kinnara couple remains perpetually and uninterruptedly beloved of each other in the Himavanta, a magical forest surrounding Mount Meru (the centre of the universe). Javanese lamp finials depicting the couple seem to have been popular, perhaps in the bedchamber. It is possible this finial was from a pair of lamps with the kinnari on the companion one. 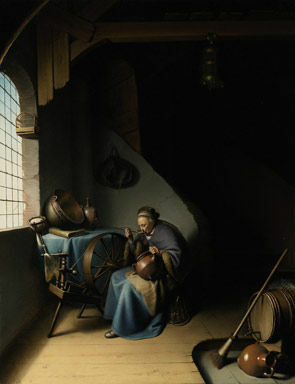 A figure of the kinnari in the Metropolitan Museum of Art, New York (Eilenberg Collection), is a possible candidate. A grey schist figure of a Thinking Bodhisattva, 3rd/early 4th century, is a wonderful example of the creative powers of Gandharan sculptors. 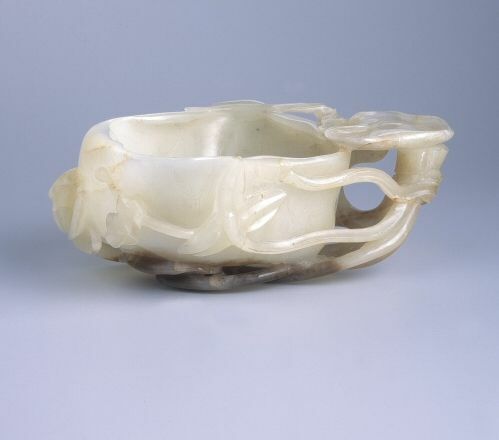 Their understanding of anatomy and familiarity with both the long-standing Hellenistic tradition and the evolving South Asian artistic conventions resulted in a uniquely beautiful form of extraordinary sensitivity, expressing a degree of emotion unusual in South Asian art. 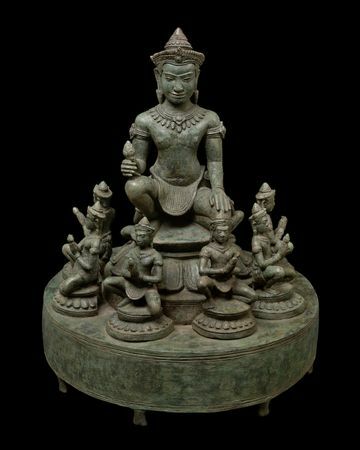 This figure was probably part of a tableau depicting a vision of the Buddhist paradise with an ensemble of acolytes surrounding a central image of the Buddha. Dressed in the finest robes and bedecked with jewellery, the Bodhisattva is a prince of Buddhism and his appearance alludes to political and social issues that devotees would have understood. 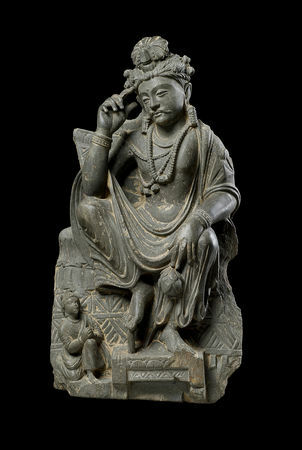 John Eskenazi is particularly pleased to have re-acquired a fine wood figure from the Kathmandu Valley depicting Jambahadyah, known in Tibet as Phagpa Lokeshvara, an extremely rare form of the popular bodhisattva Avalokiteshvara, the embodiment of compassion. Published in Arte Himalayana, Eskenazi, Milan, 1979, Jambahadyah is identified by his curious curved crown and tasselled ear ornaments and he holds his right hand in varadamudra (bestowing of boons). The Newar people of the Kathmandu Valley are famed for their craftsmanship and the sublimely modest demeanour of the figure is typical of the Kathmandu Valley style, as is his understated elegance. This sculpture dates from the early Malla period, 14th century, or possibly earlier, and its excellent state of preservation is due in part to the fact that it was once realistically painted, traces of which survive over the entire surface. A mid-12th century bronze Royal Mandala, Cambodian, Angkor Empire, from Ankor Wat, is an enigmatic piece comprising eight identical figures seated around a larger one that dates from a period when political and religious responsibility were intrinsically joined. The central figure resembles known portraits of the founder of Angkor Wat, King Suryavarman II (1113 to circa 1150), and the mandala dates either from his reign or the period immediately following his death. The iconography cannot be ascribed to any Hindu or Buddhist belief known to have existed at Angkor and possibly represents royal authority delegated to officers of state who were bound by an oath of loyalty to the king. Like its spiritual equivalent, the mandala belongs to the sphere of secretive, long-obscure rituals conducted to maintain the status quo at the heart of the Angkor Empire. John Eskenazi is well-known for his knowledge of the ancient cultures to which these works of art belong and his exhibitions in New York attract collectors and museum curators who are drawn to the quality and aesthetic beauty of the pieces on show. He established his own London gallery in Mayfair in 1994, having originally joined the family business of Eskenazi in 1977 which had been founded by his father Victor in Milan in the 1920s. Since 2006 John Eskenazi has been a private dealer, available to clients by appointment. His expertise and scholarship in Indian and South-east Asian art are internationally recognised and his clients include major museums such as the Metropolitan Museum of Art in New York and the Victoria and Albert Museum in London as well as discerning private collectors.